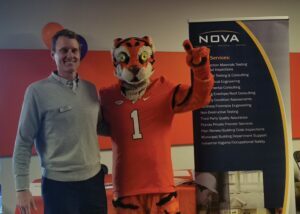 The Clemson Tiger made his rounds at the Spring 2018 Career Fair today. Steve Willenborg, Kennesaw office, was also working the room and scoping out the prospects at this event! This picture really says it all: NOVA IS NUMBER ONE!